2014 was a GREAT year for me! I'm thankful for such great family members and friends who supported me in achieving my goals. Many of you motivated me, laughed with me, laughed AT me, and even cried with me. My 2014 resolutions were to: be healthy and run a half marathon. I'm happy to say I did those things and more. In April, I was featured on Club CF's website as a 20+ year old thriving despite having a life threatening medical condition. Club CF does a great job at promoting awareness but also giving younger CF'ers a look at all of the potential they hold- if you push yourself. In May, I ran the Great Strides 5K in Addison, TX. The weather was favorable, I had a great team, and successfully ran it in it's entirety in 38 minutes. I also participated in the Dallas Carry the Load with my brother, an OIF veteran. We walked 13 miles in the rain with 25lb rucksacks. During this time, we talked about his military experiences, gossiped, laughed, and bonded just as siblings should. In late July I purchased my Specialized Ruby Elite in preparation for the CFF Cycle For Life. For the next two and a half months, I called the CF Foundation regularly. I visited Richardson Bike Mart religiously. I rode my bike consistently. I pushed myself. It was hot, I was tired. It was windy, I was hungry. It was getting dark, I was aching. I also received sponsorships from Bolthouse Farms and Smith Optics. Bolthouse Farms donated to the CFF and if it weren't for their support, I wouldn't have been able to participate. Smith Optics provided me with gear that was discounted at an amazing rate and allowed me to focus on training instead of purchasing gear. So, big thanks to those two companies and their amazing reps! In August, I was nominated and recognized by the More Than Just Me Foundation for my involvement in the CF community. In September, I loaded up my bike and headed to Highland Village. I was intimidated- elite cyclists, triathletes, ironman champions, and then there was me. The ONLY person with Cystic Fibrosis that participated. No pressure...Rest stops every few miles were loaded with "fuel" (as the cool cyclists call it! ), water, gatorade, pickle juice, bananas, jerky, granola bars. Port-a-johns that were awaiting my arrival, volunteers that were freezing but ecstatic. Did I mention this day was abnormally cold, and extremely windy? Oh, and the mountains hills on the course. There were a lot of those. I had an amazing group of people with me, the turtles as they called themselves. I crossed the finish line and immediately broke down. I couldn't believe I rode my bike for 60 miles...4 hours straight! I hugged my family members and best friend, and consumed as many calories as I could. It wasn't the cycling that hurt or that made me want to give up. It was my mind. I wasn't allowed to exercise when I was little...and there I was. I wasn't supposed to live this long or be this healthy. I wanted to give up because mentally, I wasn't prepared. I was afraid, intimidated, and overwhelmed. I kept pedaling because with every pedal, I was defying odds. It was on this day that I truly realized my diagnosis doesn't determine my destiny, I do. In December, I ran the Dallas Metro PCS half marathon and completed 13.1 miles in under 3 hours. My body hurt, but there was no giving up. It was a great year and I'm so thankful for those of you who celebrated it with me. Your support is what keeps me going when things get tough. Here's to making 2015 bigger and better! This class contains a defective CFTR protein processing and trafficking. The post translational processing and transport reduce the number of CFTR proteins that are delivered to the cell surface.The protein is unable to fold correctly. An example of a Cystic Fibrosis nonsense-stop mutation is G542X. This class includes premature termination codons (PTCs)- a point mutation in the DNA sequence that results in a premature stop. Missing information is the cause of the premature stop and as a result, the protein product is usually nonfunctional and incomplete. The missing genetic information stops cells from making complete CFTR proteins. Normal Cystic Fibrosis Transmembrane Conductance Regulators (CFTR) transport chloride and bicarbonate ions through the cell membrane of epithelial cells. This helps to regulate fluid and electrolyte balance in the epithelial tissues throughout the body. Epithelial tissue is found in the lungs, sinuses, pancreas, intestines, reproductive system, and sweat glands. When ion flow fails, the ionic concentration of the secretions is modified. The epithelia no longer maintains surface hydration and can cause the duct lumens to obstruct. CFTR activity is determined by the quantity of CFTR channels at the cell surface, the amount of time each channel is open (gating), and the amount of ions conducted in a given time in each channel (conductance). CFTR quantity is determined by gene transcription, proper splicing, and mRNA translation, processing and trafficking and the maturation of the CFTR protein and the delivery of it to the cell's surface, and surface stability- the amount of time a CFTR channel is at the surface before being removed and recycled. According to in vitro experimentation (Bompadre SG, Sohma Y, Li M, Hwang TC. G551D and G1349D), CFTR protein channels have an open probability of ~40%, meaning they are open approximately 40% of the time. The genetic mutation that causes Cystic Fibrosis was discovered in 1989. Mutations on a single gene- the Cystic Fibrosis Transmembrane Regulator (hereafter referred to as CFTR) causes the most common, fatal genetic disease. Since the discovery of the CFTR gene, researchers have identified over 1,800 mutations. These mutations are grouped into different classes and types dependent upon how the mutation affects the key protein produced by the CF gene. The CFTR gene is located on the 7th chromosome and is composed of 250,000 DNA nucleotides. In healthy people (those with normally functioning CFTR genes), the CFTR is located on the surface of the cells that line the lungs and other organs. The protein made by the CFTR is a chloride channel. Chloride flows in and out of the cells through a "doorway" and water flows behind in. The water keeps the mucus this and moves it out as well. A structural components of DNA and RNA. A nucleotide consists of one of the following chemicals: adenine, thymine, guanine, or cytosine, plus a molecule of sugar and one of phosphoric acid. What does the CFTR gene do? The CFTR protein functions as a channel for the movement of chloride ions in and out of our cells. This is important for the salt and water balance on epithelial surfaces (the tissue that lines the cavities and surfaces throughout the body). A balanced level is highly important for the lungs and pancreas, however, due to mutations of the CFTR, these organs are negatively affected. The mutations affect the composition of the mucus layer (airway surface liquid, ASL- a liquid and mucus gel layer that contains salt) that lines the epithelial surfaces in the lungs and pancreas. A disruption in of ion transport affects the salt concentration in the sweat. This is why sweat tests are used as a diagnostic measure. Although a diagnosis of Cystic Fibrosis is usually straightforward, genetic testing is preferred. Genotype is not the final arbiter of a clinical diagnosis of CF. Diagnosis is primarily based on: sweat testing, nasal potential difference, and genetic analysis. None of these features are sufficient on their own to make a diagnosis of CF. In order to Cystic Fibrosis, a person must have inherited two defective genes from both parents. The mutations can be the same (homogenous) or different (heterogenous). For example, a person could have the 621+1g>t mutation and the F508del mutation. The heterogeneity of CFTR mutations in various populations makes mutation detection rates extremely challenging. A small number of CF patients have only one or no CFTR mutations identified. Not every case of Cystic Fibrosis is the same. A CF Patient's mutation determines what happens on a cellular level. Identification of the underlying mechanisms that cause CF allows for researchers to better understand how certain medications can help specific CF patients. CFTR targeted therapies could treat the issues on a cellular level, which would address the cause of CF as opposed to the symptoms of CF. The Cystic Fibrosis Foundation has funded research studies on antioxidant therapies in patients with CF. Antioxidants counteract damaging effects on the body's cells caused by free radicals. 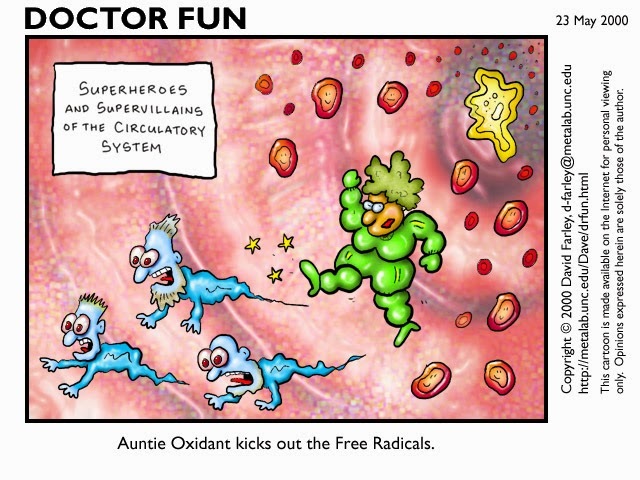 Free radicals can cause a domino effect of damage on the body. By maintaining a higher number of antioxidants, the damage can be slowed down by neutralizing and removing free radicals from the bloodstream. Although CF has negative implications on the digestion system, it is still pertinent to one's health to intake a well balanced diet high in nutritional value. The development of a new vitamin by Yasoo Health (the producers of Aquadek) is underway and will contain vitamins and micronutrients that are not in the currently recommended CF vitamins. In the meantime, you can eat the following fruits, veggies, and nuts to up your daily dosage of antioxidants. Keep in mind that although they are good for you, too much of a good thing can be bad! If you decide to make any drastic changes in your diet or vitamin regimen, consult your doctor and dietician beforehand!